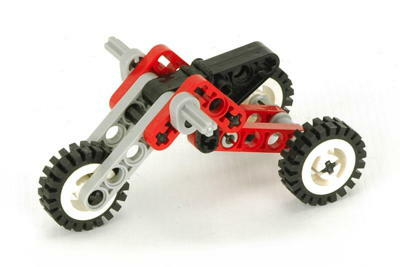 This little tricycle released in 1999 came in multiple packages with different numbers as part of a series of 4 micro models. As 1257 it came in standard Technic packaging in a small box. As 3000 it was available as a polybag only in Japan with Kabaya candy. There is no difference apart from the packaging. 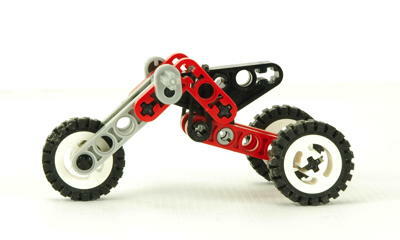 While it is not clear whether this is a motorcycle or a child's tricycle, it does feature simple suspension. Technic models don't get much sipmler than this, so it is an example of a model accessible to virtually any age group. 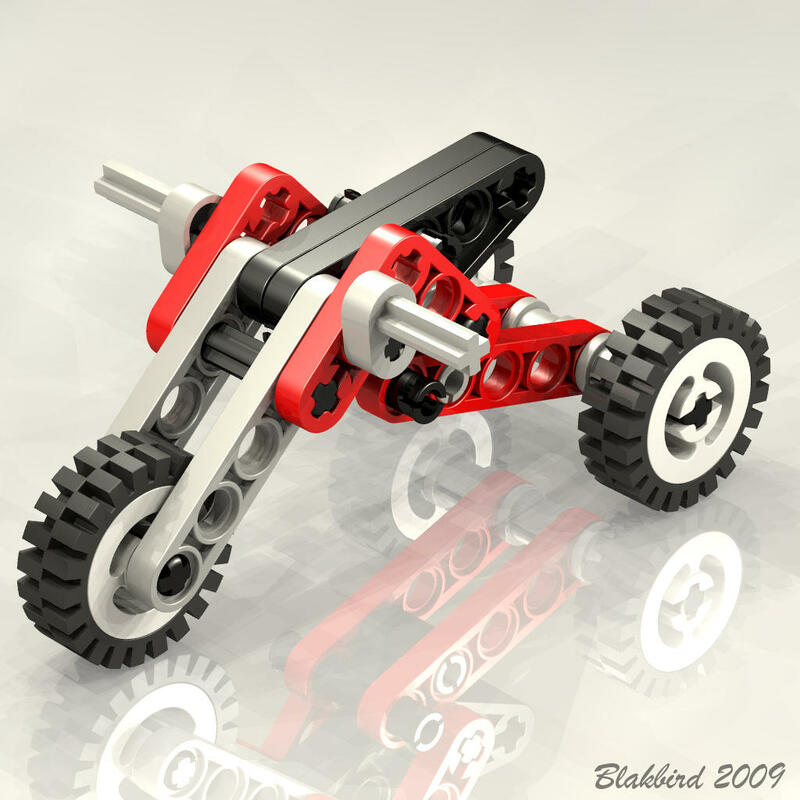 The rear axle of this model is suspended on a trailing arm and supported by a rubber band looped over the frame.